Yesterday I headed up to meet Bren from Wild Atlantic Way Climbing and Trveor Fisher from Tollymore for a day of CPD. We talked and worked through a load of technical queries as well as getting lots of climbing and a couple of new routes in. 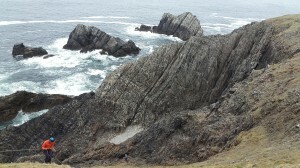 The area around Malin Head is fantastic and the Rock is amazing. Cant wait to go back!